Special Olympics Announces Twelve Athletes Competing in NBA Cares Special Olympics Unified Sports® Game. This diverse group of accomplished athletes—including four individuals competing in Special Olympics World Games Abu Dhabi 2019—will tip-off in an inclusive game with NBA and WNBA legends and players on February 15. WASHINGTON, DC – January 15, 2019: Special Olympics has selected 12 players to compete in the 8th Annual NBA Cares Special Olympics Unified Sports® Game on Friday, February 15th, 2019 in Charlotte, NC as part of NBA All-Star 2019. The game will take place at Bojangles Coliseum at 5:00pm ET. The NBA Cares Special Olympics Unified Game represents a 44-year global partnership between Special Olympics and the NBA. Taking place each year during NBA All-Star, the Unified Game pairs an equal number of Special Olympics athletes (individuals with intellectual disabilities) and NBA and WNBA players and legends in a 40-minute game of inclusion and acceptance. This year’s Unified game will feature 12 Special Olympics athletes representing 7 countries, as well as athletes competing in Special Olympics World Games Abu Dhabi 2019. Each athlete will enjoy an unforgettable NBA All-Star experience, including a meet-and-greet with members of the NBA family and tickets to events throughout the week. First held at NBA All-Star 2012, the NBA Cares Special Olympics Unified Basketball Game continues the long-standing partnership that started when the league helped to introduce the sport of basketball to Special Olympics more than 40 years ago. Following the game, NBA and WNBA legends will host more than 50 youth athletes from local Special Olympics Programs for a basketball clinic at the Charlotte Convention Center. The NBA and WNBA legends playing alongside these determined athletes on February 15 will be announced in the coming month. NBA All-Star 2019 in Charlotte, N.C., will bring together the most talented and passionate players in the league’s history for a global celebration of the game. The 68th NBA All-Star Game, which will take place on Sunday, Feb. 17, at Spectrum Center, will reach fans in more than 200 countries and territories in more than 40 languages. TNT will televise the All-Star Game for the 17th consecutive year, marking Turner Sports’ 34th year of NBA All-Star coverage. Spectrum Center will also host MTN DEW ICE Rising Stars on Friday, Feb. 15, and State Farm All-Star Saturday Night on Saturday, Feb. 16. The NBA All-Star Celebrity Game presented by Ruffles and NBA All-Star Practice & Media Day will take place at Bojangles’ Coliseum. 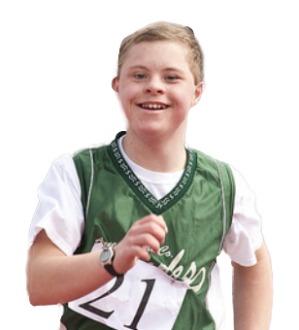 Special Olympics is a global inclusion movement using sport, health, education and leadership programs every day around the world to end discrimination against and empower people with intellectual disabilities. Founded in 1968, and celebrating its 50th Anniversary this year, the Special Olympics movement has grown to more than 6 million athletes and Unified Sports partners in more than 170 countries. With the support of more than 1 million coaches and volunteers, Special Olympics delivers 32 Olympic-type sports and over 100,000 games and competitions throughout the year. Special Olympics is supported by individuals, foundations and partners, including Bank of America, the Christmas Records Trust, The Coca-Cola Company, ESPN, Essilor Vision Foundation, the Golisano Foundation, the Law Enforcement Torch Run for Special Olympics, Lions Clubs International Foundation, Microsoft, Safilo Group, Stavros Niarchos Foundation, TOYOTA, United Airlines, and The Walt Disney Company. Click here for a full list of partners. Engage with us on: Twitter, Facebook, YouTube, Instagram and our blog on Medium. Learn more at www.SpecialOlympics.org. Created By The Joseph P. Kennedy Jr. Foundation for the Benefit of Persons with Intellectual Disabilities. Website made possible by Perfect Sense. Special Olympics is a tax exempt 501(c)3 nonprofit organization. Special Olympics Identification Number (EIN) is 52-0889518.